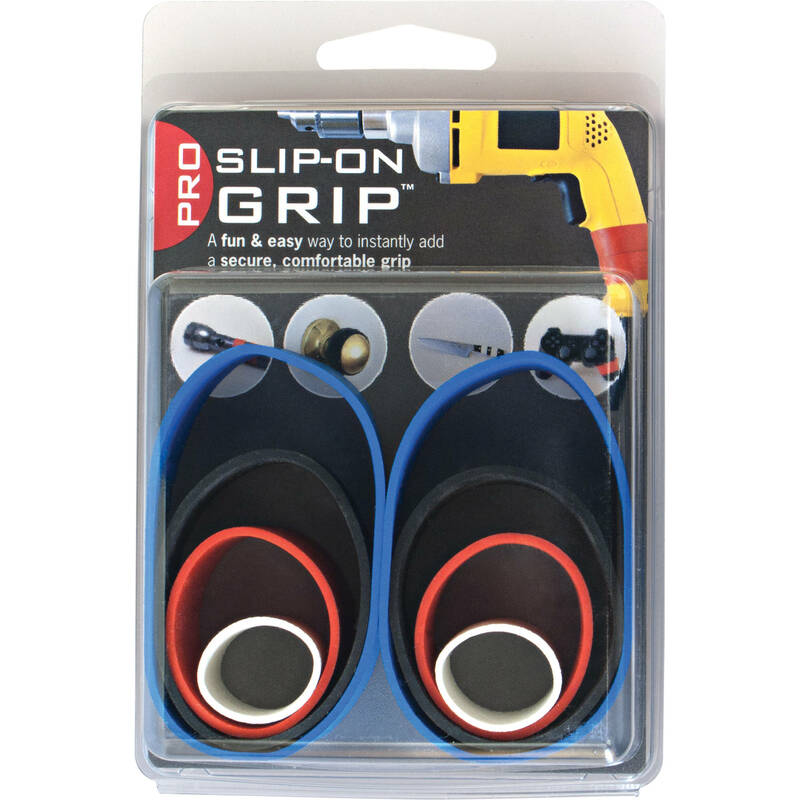 The Alliance Rubber Pro Slip-On Grip (8 Pack) is an extremely versatile solution to grip and torque problems at home, in the office or in the field. Use the bands to improve your grip on slippery kitchen utensils or to open jars. Use them to increase torque on screwdrivers or other tools. Use them on the boat to add a grippy surface to items like binoculars to prevent them from going overboard. They're especially useful in cold weather. 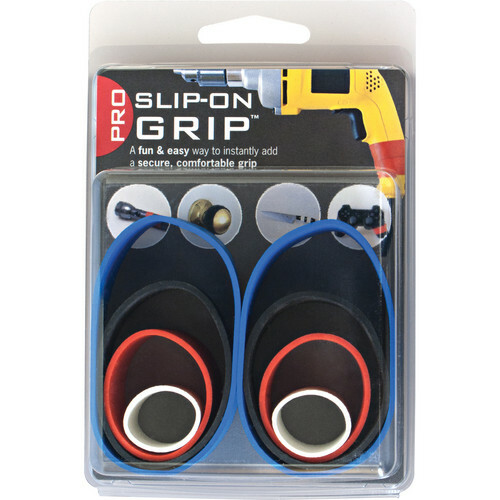 The Pro Slip-On Grip 8 Pack contains 2 each of the small, medium, large and x-large grips. It offers a wider gripping surface and stronger tensile strength than the standard Universal model. Box Dimensions (LxWxH) 4.7 x 3.4 x 1.4"
Pro Slip-On Grip (8 Pack) is rated 5.0 out of 5 by 2. Rated 5 out of 5 by Joan from This item is the best kept secret. I'm almost 80 years old and used to have trouble opening bottles and jars.These grips give just the right leverage for opening bottles and jars. I have given them as stocking stuffers to my daughter and daughter in laws and they love them. Also gave to my sister and everytime she uses one she will call and thank me. You should target Occupational Therapists for possible sales. I see a great need for these for seniors and handicapped people. Rated 5 out of 5 by pinchus from Willing to work! Loads of new possibilities for opening jars and handling tools more safely. Great variety color pack for low light, multi-purpose and somewhat stretchy for many uses!